A sports car needs a great engine. 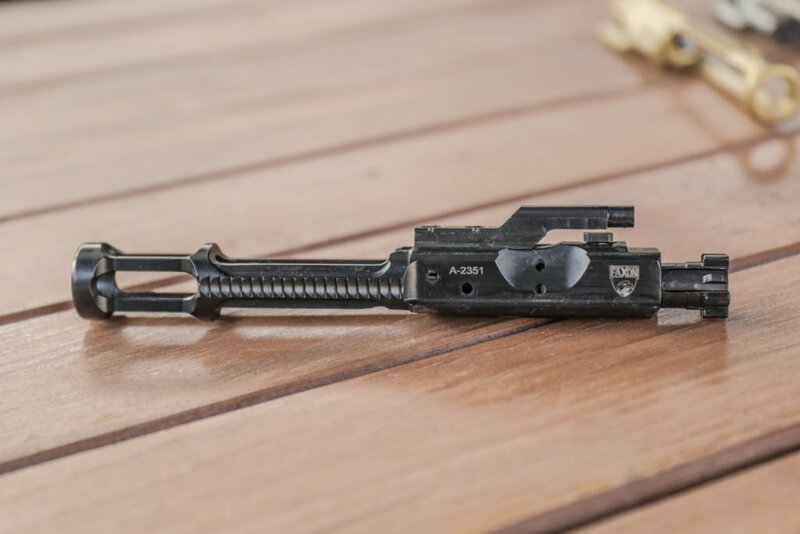 An awesome AR-15 needs a great bolt carrier group (BCG). But there’s A LOT of choices. From full-auto to lightweight, different coatings, MPI inspections, and more. It can make you go nuts (the above is probably half of my BCGs). 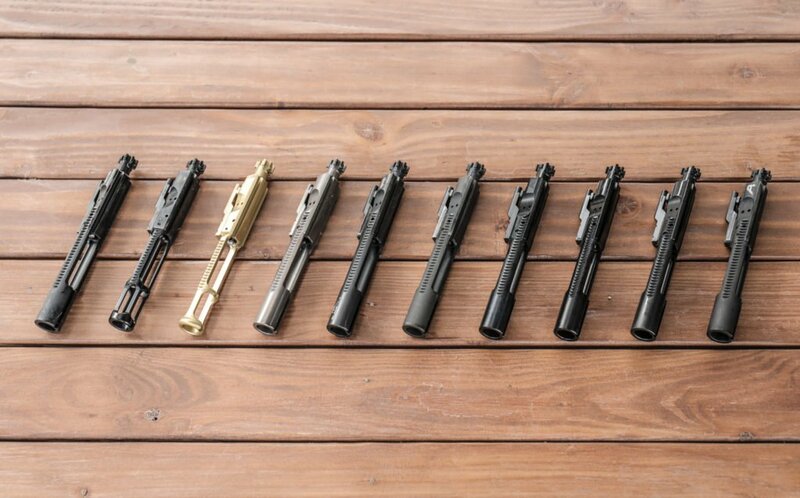 But don’t worry, we’ve got our list of our go-to BCGs. 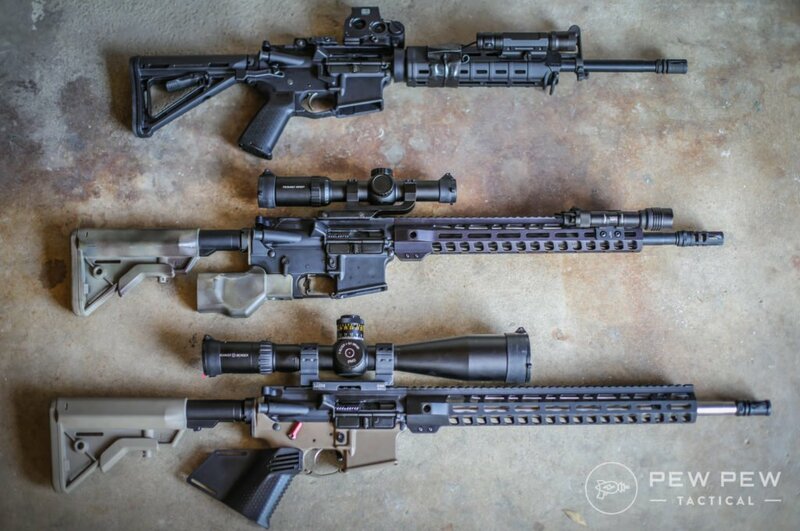 We’ll cover some of the choices and then our favorites for different purposes (and budgets)…from mil-spec to competition and even some builds just for looks. First off, “full-auto” BCGs are legal and don’t magically make your AR-15 automatic firing. 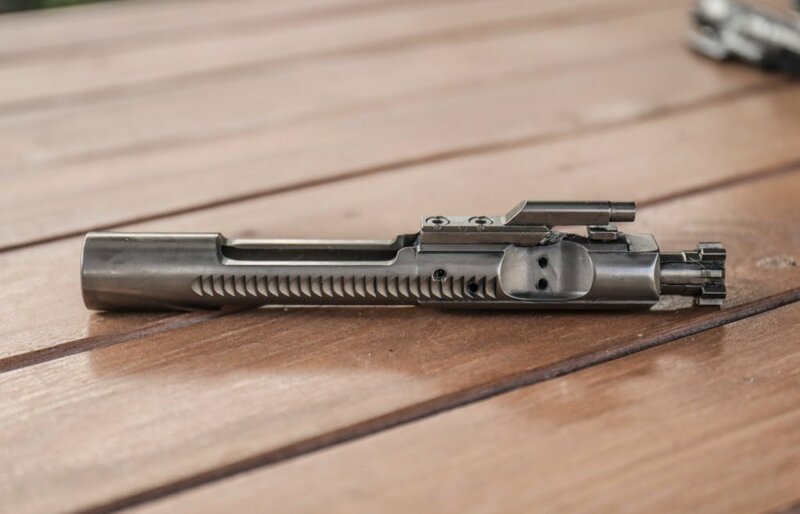 The slightly longer and heavier bolt carrier group has an additional lug at the rear of the bolt carrier group. On a full-auto AR-15 or M16, this rear lug pushes the sear release downwards which allows full auto (or burst) fire. In a semi-automatic rifle, this has zero effect on how the gun functions. 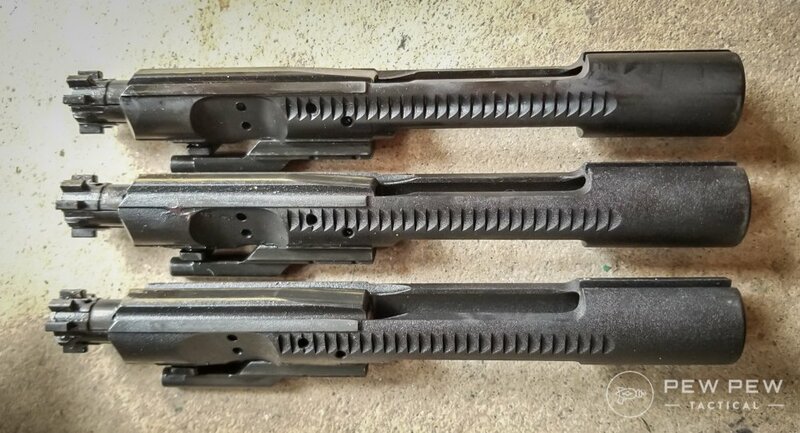 Semi-auto carriers are now the ugly step-child of the BCG world and don’t have much purpose…like commercial buffer tubes and stocks. The semi-auto ones have an extra cut that takes out some mass. Mass that should help with reliability. Semi-auto versions used to be significantly cheaper than FA versions, but now the difference isn’t as drastic. 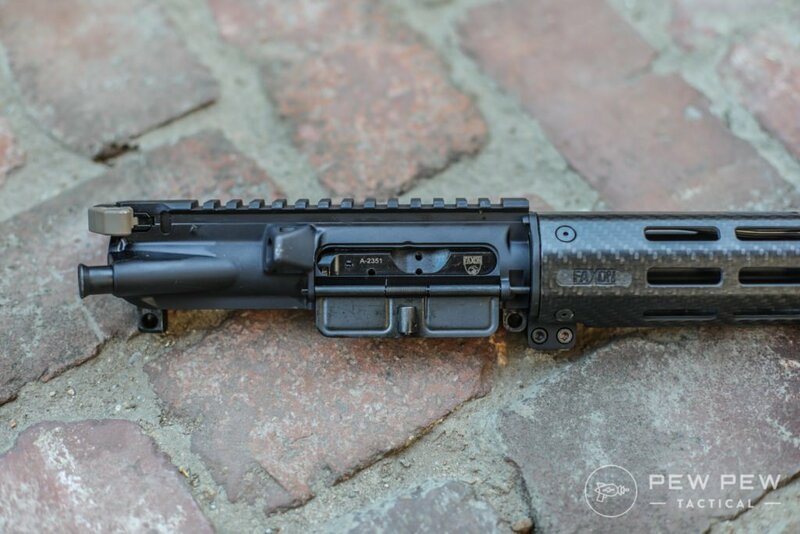 Main lesson…get a full-auto weighted BCG if reliability is a concern. 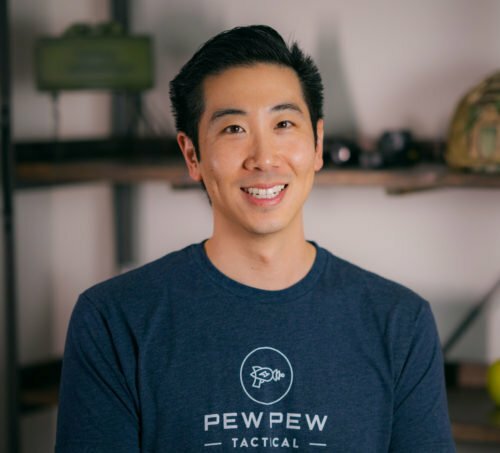 Mil-Spec is a bit of a buzzword in the AR community. Mil-Spec generally means the rifle is built to pass military specifications. If only everything were this easy. See that “high pressure tested” and “magnetic particle inspected” above? That means each bolt is individually tested at a proof load. 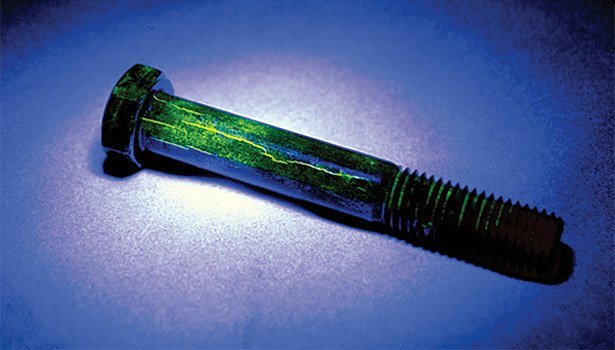 Here’s a shot of magnetic particle inspection applied to a slightly different type of bolt. Usually it’s printed onto the bolt (either as MP or MPI). But not all the time. If it doesn’t say in the description…it probably is only batch tested. And you never know if a batch is 10 or 1000 BCGs. Again, if it’s a duty or self-defense gun…I’d opt for something MPI and HPT tested. Mil-spec means phosphate coated and is matte and a little bumpy. Which does its job but does requires more cleaning than newer coatings. Nitride is black and shiny. And is easier to clean. While Nickel Boron (NiB) is silver and shiny. And easier to clean. And more exotic stuff like Titanium Nitride (TiN) is gold and pretty. And easier to clean. Now let’s get on with our actual picks! 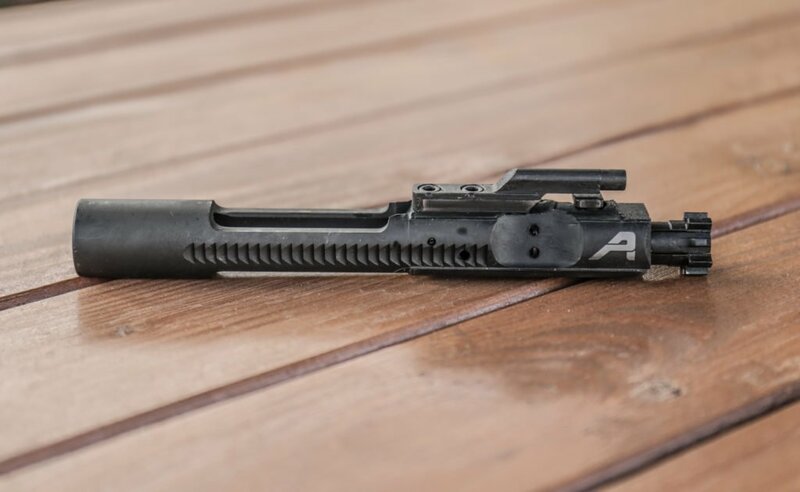 Let’s just start with our editor’s pick for a branded mil-spec BCG. 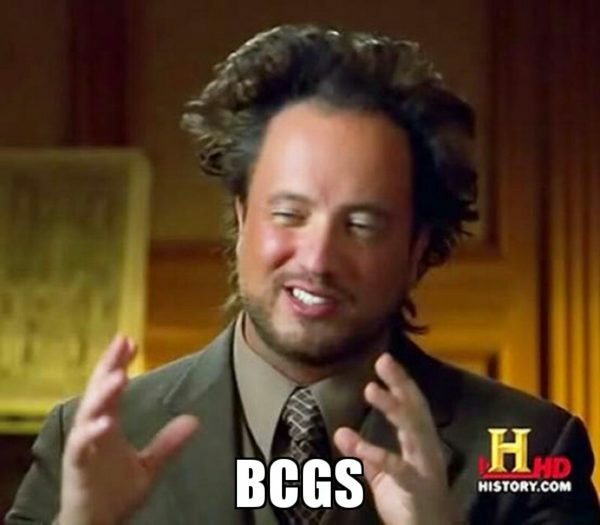 If you ask most people online what’s their go-to BCG…the vast majority is going to be BCM’s M16 BCG. Nothing much to say except it’s mil-spec everything and has a great reputation. What’s your take on the BCM? Looking for something a little more budget? 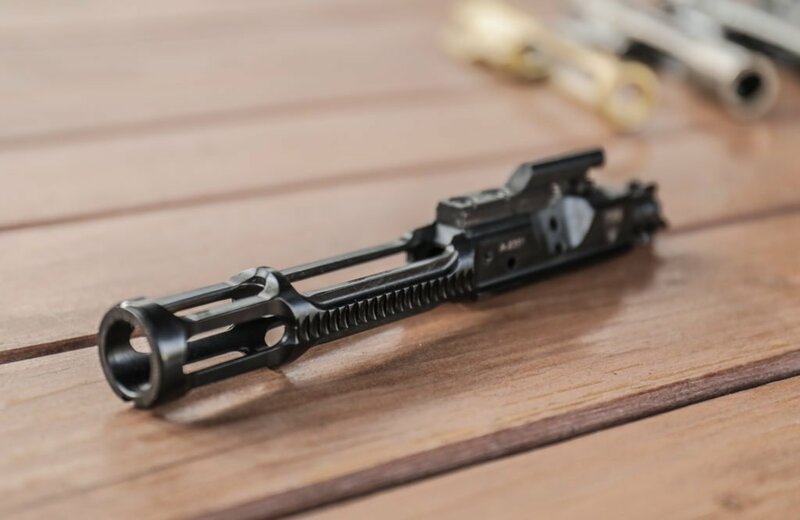 Brownells Nitride M16 BCG gives you the added benefit of the Nitride finish which makes it slicker and easier to clean. It’s MPI tested and otherwise mil-spec…except that the bolt is made of 9310 steel instead of Carpenter 158. The chances of that mattering for an average shooter that puts even a few thousand rounds downrange a year is super slim. In the back of your mind you’ll know it’s not mil-spec…but it’s about half the price of the BCM. Want something in the middle…that’s mil-spec AND Nitride coated? 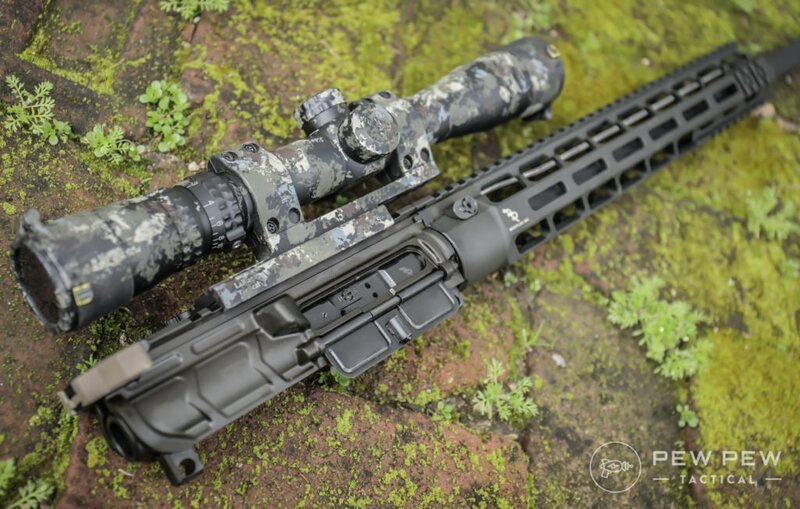 Check out Rainier Arms’ Nitride BCG which meets or exceeds mil-spec. Plus has a different/more aggressive cut on the carrier around it’s logo…if that matters to you. And priced at a nice price point between the BCM and Brownells. Nickel Boron (NiB) used to go for a lot more in price but now they’ve stabilized at around the BCM pricepoint. I do like them in terms of increased lubricity and ease of cleanup. Plus it the silver color pops out in your upper receiver. My WMD NiB BCG been chugging along in my AR pistol for a few thousand rounds…and I’ve only needed to wipe it down with some cleaner and microfiber cloth. My pick if you want to go with the best-known name in the NiB BCG game. 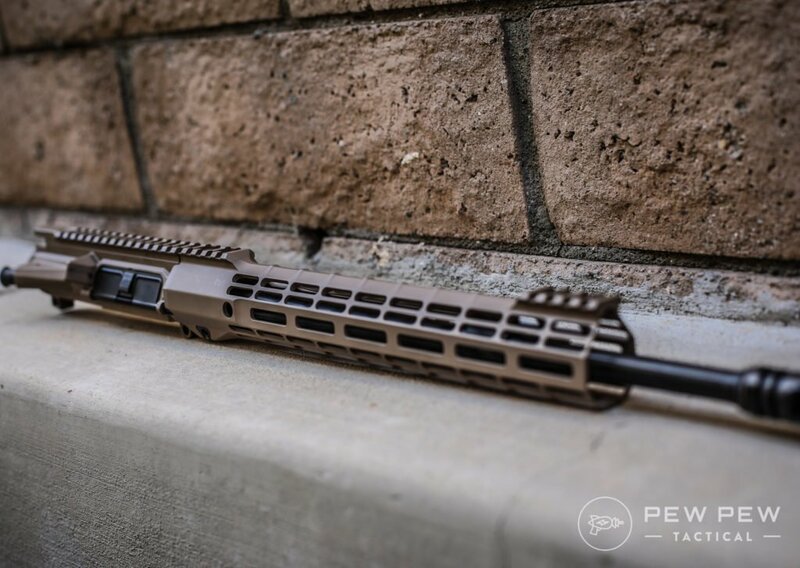 One of my favorite uppers and full rifle manufacturers is Aero Precision (review of their M4E1 5.56 upper). And the BCG that comes with their upper has always gone bang through many thousands of rounds. Full mil-spec everything. Great combo with their builds if you’re buying stuff from them anyways unless you want a different coating. This is where you can go stupid cheap on builds…that still work reliably (PSA 3 AR-15s Review). Their mil-spec phosphate BCGs are a little bumpy but they work. And they are actually the cheapest in the whole article. 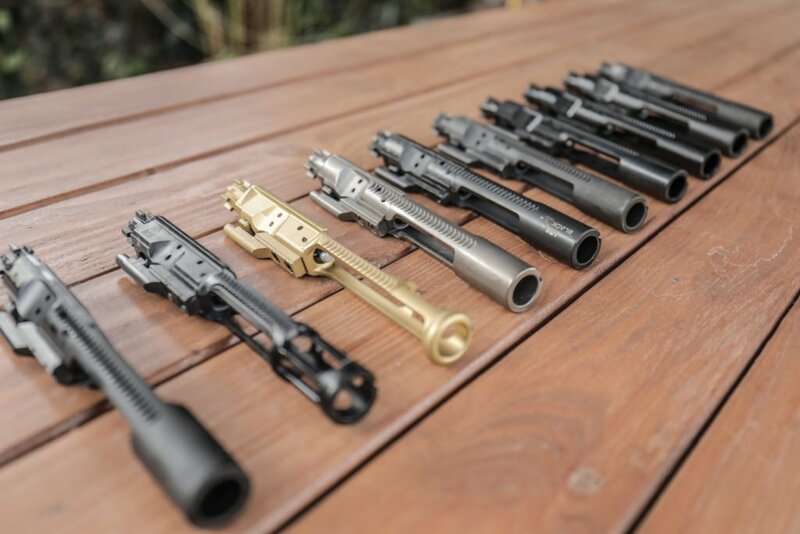 Low-mass or lightweight bolt carrier groups are relatively new on the market. 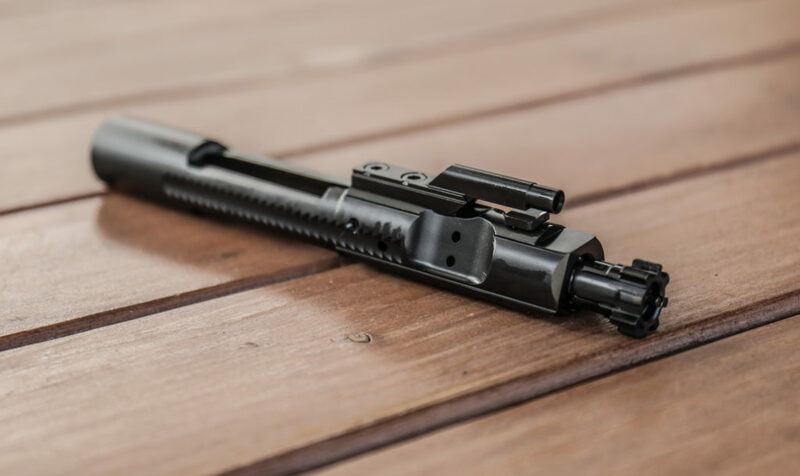 We also have a whole guide just for choosing a lightweight bolt carrier group, so be sure to check that out if you want to know more. A low-mass BCG serves two purposes. If you are following the current fad of super lightweight AR-15s you want to trim weight basically everywhere. 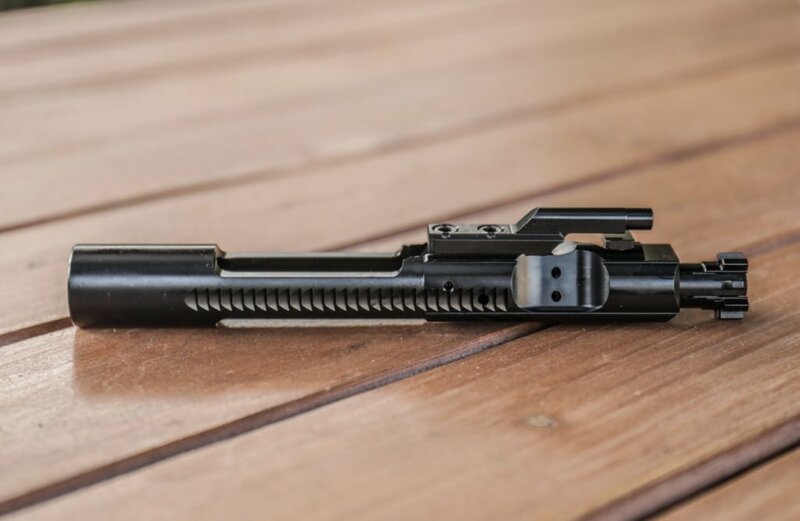 You can cut a few ounces off by using a low-mass bolt carrier. 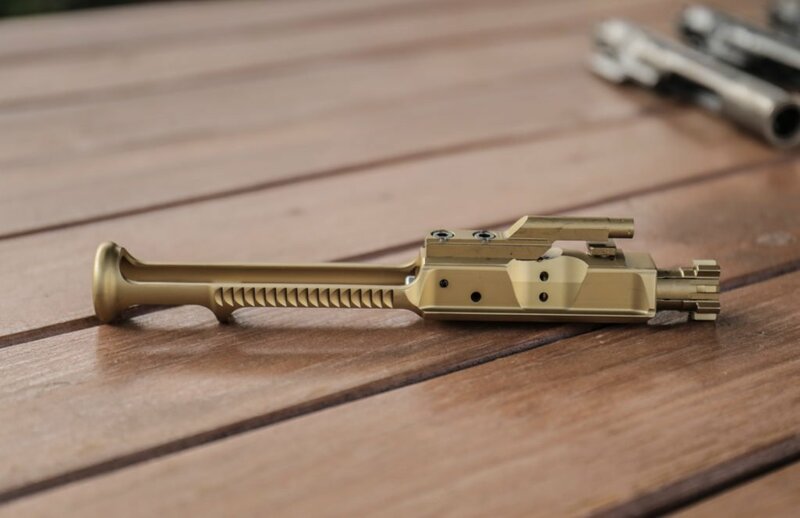 A Mil-Spec BCG is about 11.6 ounces, but you can much lighter now…especially with cuts and exotic materials like titanium. The primary advantage of this is to reduce recoil. Too much recoil can impede accuracy. 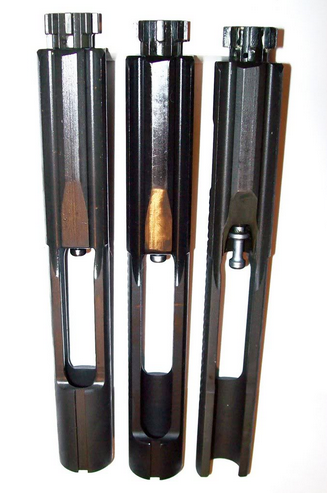 Since the bolt carrier group is shot backward towards the shooter the weight of it affects recoil. The more mass you have coming rearward the more recoil you’ll feel. Any reduction in recoil and firearm movement, in general, helps you stay on or get back on target as you fire. 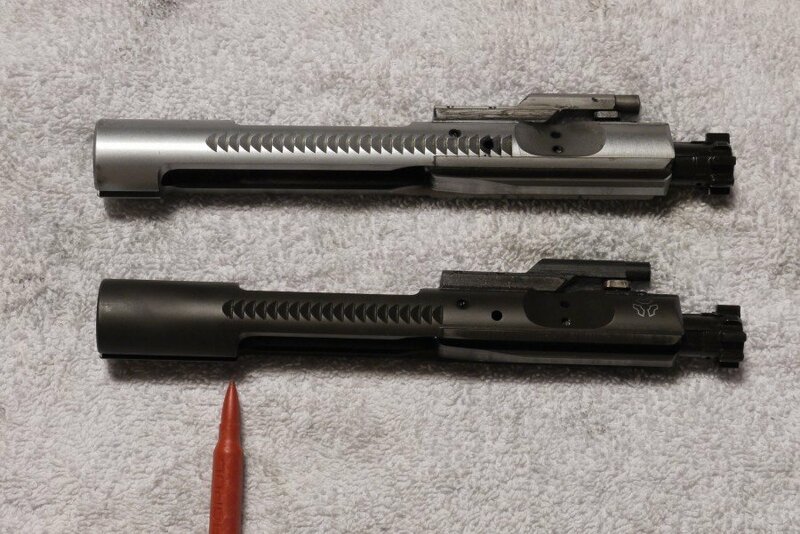 A low mass BCG moves faster which could increase your rate of fire, but skill makes a bigger difference in cyclic rate than bolt weight in a semi-auto gun. 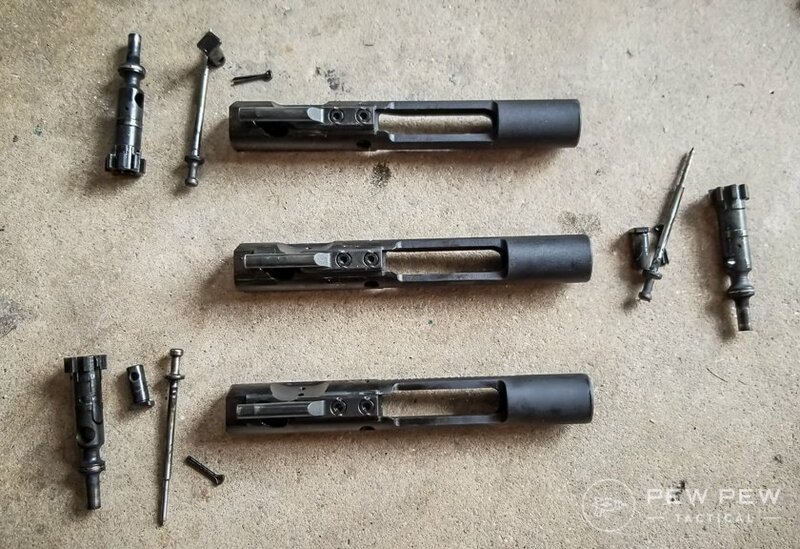 Why do regular bolt carrier groups still exist? 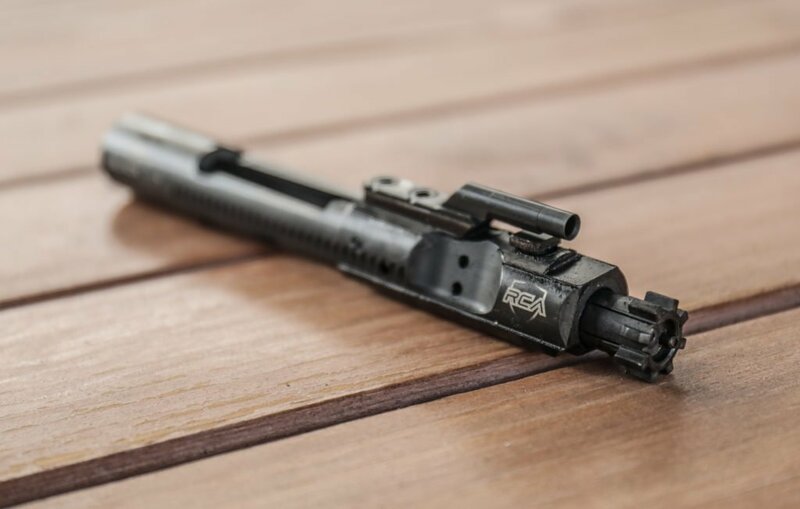 A lightweight BCG is designed for a tuned rifle and a builder who’s willing to toss an adjustable gas block on and really tune the gun system. The heavier standard BCGs are better suited to running any kind of ammo through any kind of gas system. 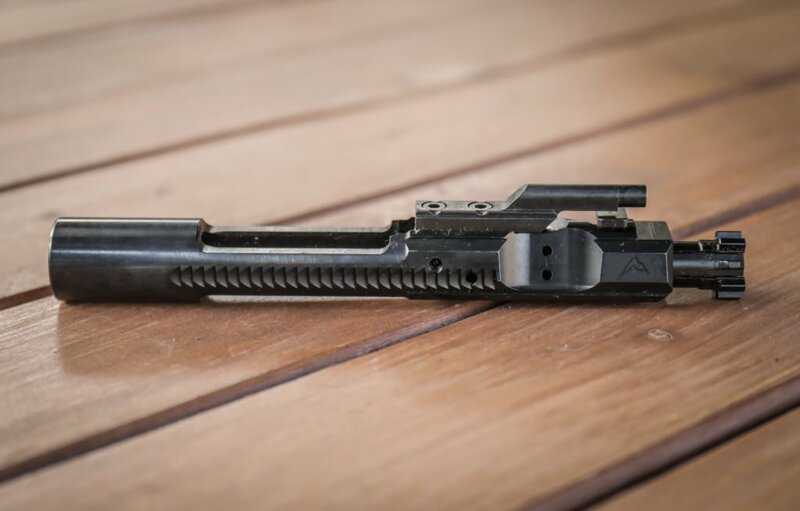 So, if you’re building a SHTF, zombie-apocalypse-proof, rifle…go with a regular BCG. Building a performance-tuned competition rifle with an adjustable gas block? Go with a light-weight BCG. Want to go lightweight for competitive shooting? Before you had to go with different materials for the carrier like aluminum…which turned out to not be a great idea. Aluminum carrier rubbing an aluminum receiver led to the carriers being used up in a few thousand rounds. But now you have aggressive weight reducing cuts like with the Faxon Lightweight BCG. It comes in at a much lighter 8.5 oz (compared to a full auto 11.6 oz). And has worked out great in my Faxon builds (Faxon Barrel Review). Lose the weight but keep the steel. 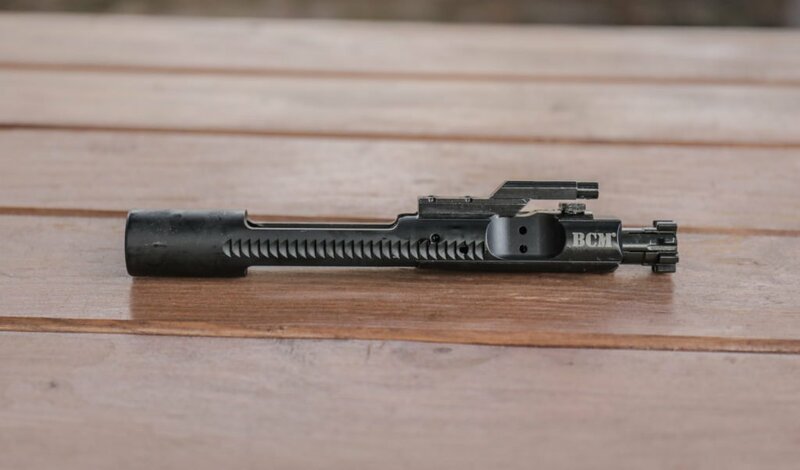 Brownells has thrown a contender into the ring with their lightweight BCGs. And now with different coatings. I of course went with their Titanium Nitride (TiN). Their bolt uses 9310 steel but again…it is likely never going to matter. It weighs in a little lighter than the Faxon at 8.2 oz probably due to the one additional cut. Save a little with their Nitride…but might as well go big or go home. My current go-to for competition shooting is the RCA BCG but costs a pretty penny since the carrier is Titanium. I’ve shot many thousands of rounds through it and it still looks new…not even that many wear marks on the touch points. Total weight is 7.87 oz which isn’t that much less than the other steel cut lightweights…but I like having the complete full-auto form factor. 9310 bolt but that is the standard for lightweight builds. 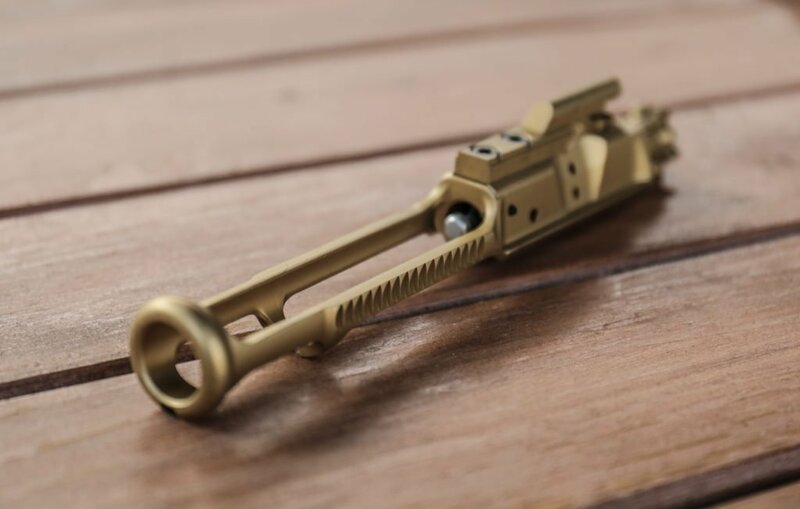 And of course…Brownells has entered the game with their version of the Titanium BCG. It comes in at 7.9 oz and is indistinguishable from their regular Nitride version except when you pick it up. Again…9310 bolt. I’m still testing this one out but it might be a good substitute for the RCA one at some decent savings. Normally if you want to control the gas going back into your AR-15 you’ll need to pick up and install an adjustable gas block. Bootleg’s adjustable carrier gives you this capability in the BCG itself with a couple clicks on the side. So far I can definitely feel the recoil difference between the different settings. 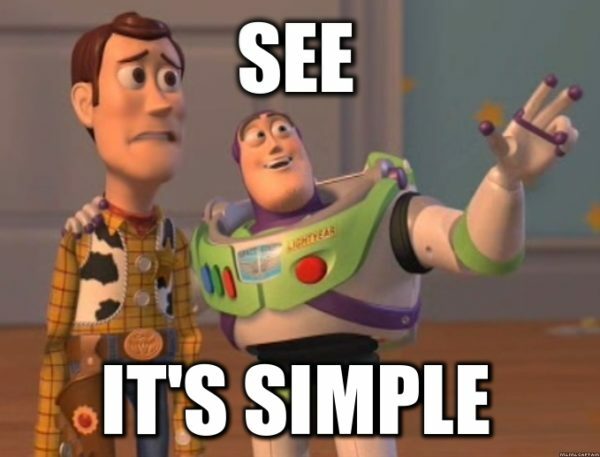 And although there’s only 4 settings so you won’t get down to the perfect setting for your rifle and loads…it’s a great system if you don’t want the hassle of swapping out a gas block. But if mil-spec is the name of the game…get the BCM. If you’re looking for something mil-spec and a little upgraded with a Nitride coating…get the Rainier. 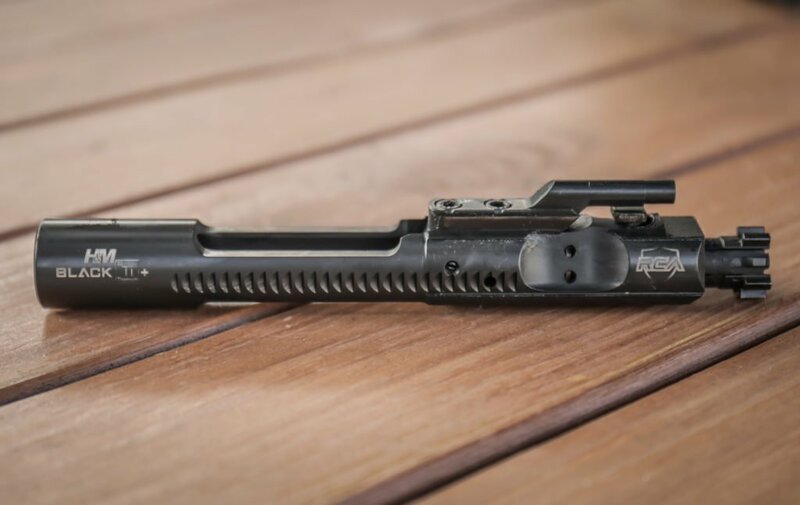 To enter the lightweight BCG game…start with the Brownells Steel Lightweight. But be sure to get the most out of it with an Adjustable Gas Block. What kind of BCG do you run? 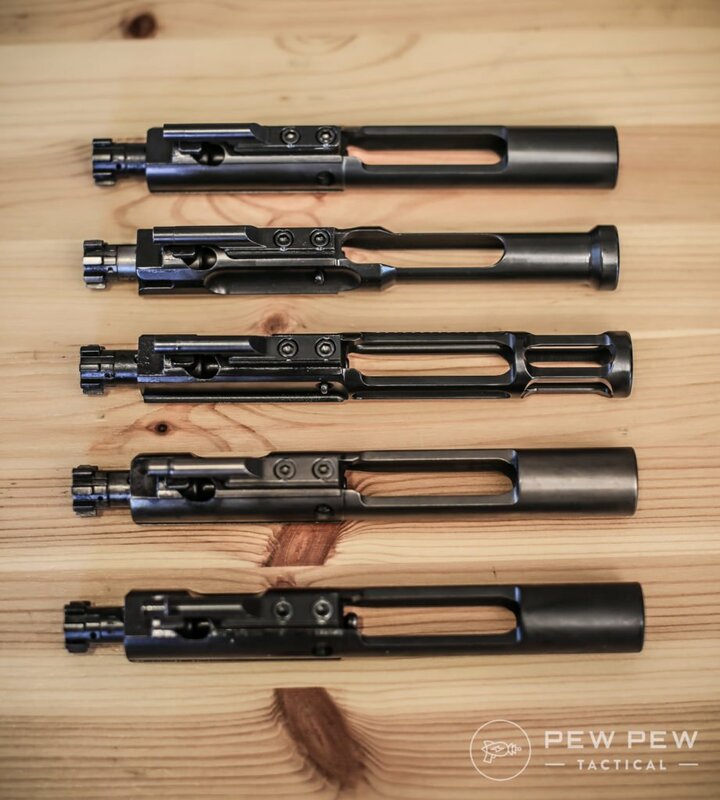 There’s so many BCGs out there so let us know what we missed. And check out the rest of our Best AR-15 Upgrades. Been running LANTAC E-BCG’s in all my AR’s with no issues. A little expensive but my AR’s run so smooth!! What about Sharps Rifle Company XPB BCG. I’ve actually had two BCGs gas keys come loose, one being an early Fail Zero NiB BCG. I can’t remember what the other was but it was a plain basic one. I got an LMT BCG in my main AR that hasn’t had an issue yet and I have a lightweight VDI BCG that has their Lifecoat coating and the gas key is actually integrated into the BCG so there are no screws that can loosen or need to be staked. With that VDI BCG, it is one less worry.